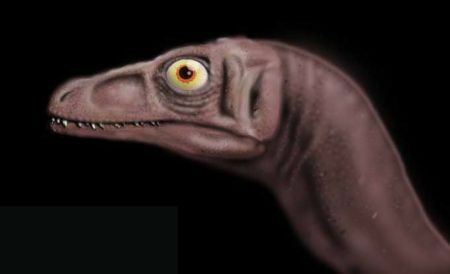 WHERE IT LIVED: Fossils have been found in the Rio Neuquen Rock Formation, Sierra del Portezuelo, Province of Neuquen, Argentina, South America. 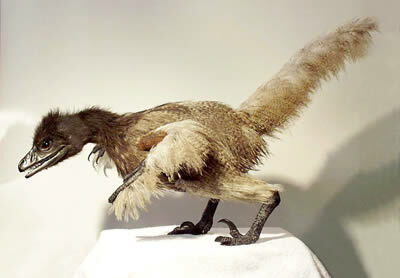 FOSSILS: Megaraptor remains were found in 1996 in Northwest Patagonia, Argentina, by paleontologist Fernando E. Novas. 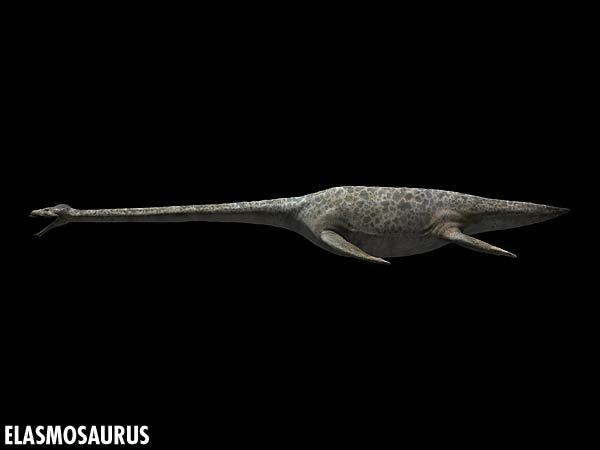 Only a few toe and leg bones have been found, including a sickle-claw 14 inch (35 cm) long. 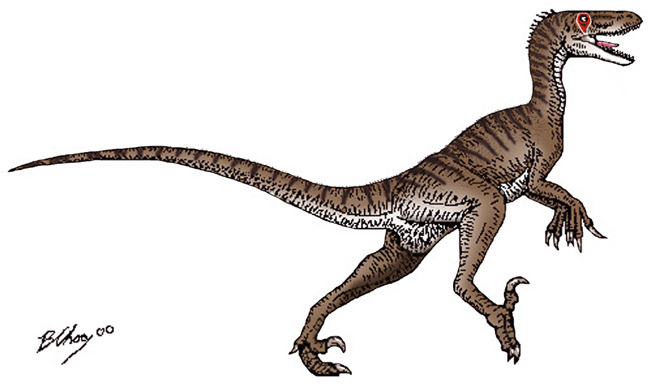 FACTS: Megaraptor was a large, terrifying late Cretaceous predator with two enormous, sickle-like toe claws . 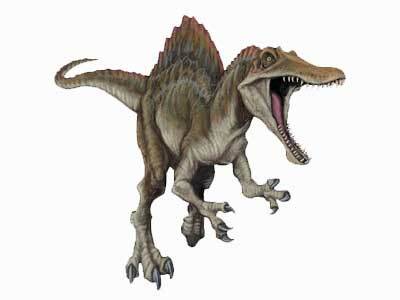 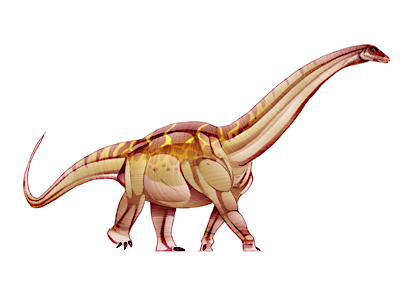 It was a huge, lightly built, fast-moving, agile, bipedal (walked on two legs), bird-like dinosaur. 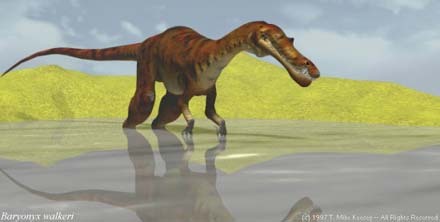 It had a curved, flexible neck, and a big head with sharp, serrated teeth in very powerful jaws. 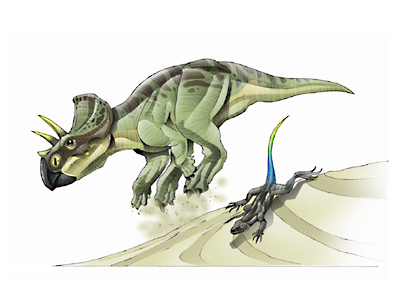 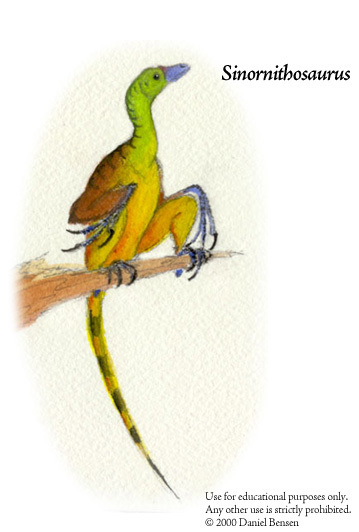 The second toe on each foot had a 14 inch (35 cm) sickle-like claw and the other toes had smaller claws. 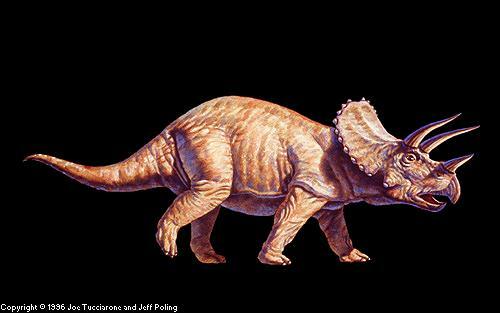 When alive, this claw would have been sheathed in a horny, keratinous material much like our fingernails, making the claw even bigger, longer and sharper. 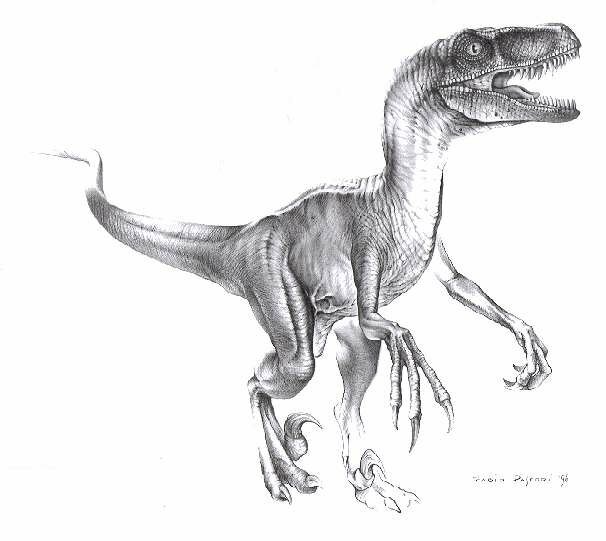 LINKS: A detailed page on Megaraptor.